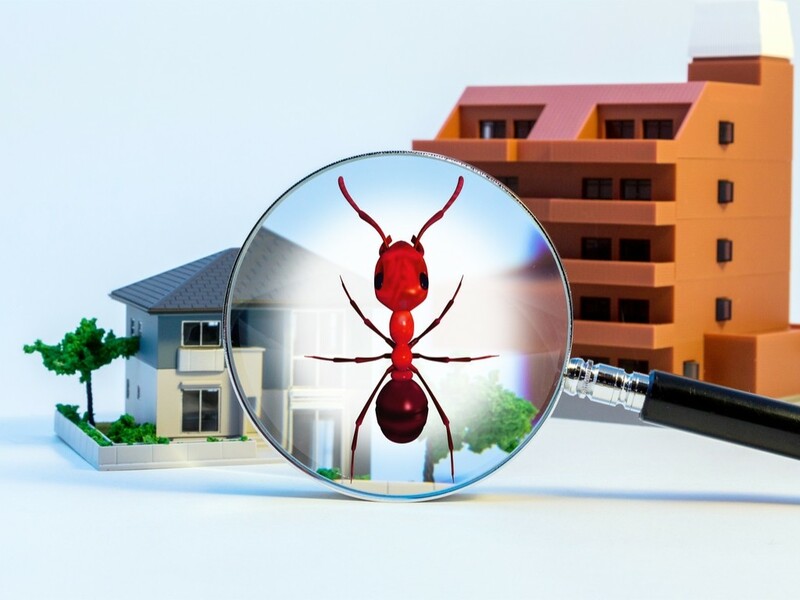 Ants | Pest Control Omaha - Exterminator | Omaha Pest Control, Inc.
Pest control of ants yourself can actually make things worse! 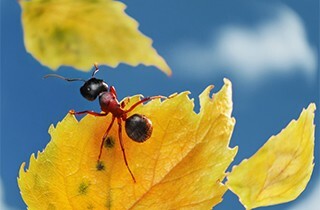 Most Omaha homeowners don’t realize that over-the-counter sprays and repellents can cause a situation called “budding” in which ants separate from their main nest and start a new colony or several colonies. Pavement ants, little black ants and Carpenter ants are a few of the typical pests, the latter being the more difficult to control. That’s why our recommended suggestion is to have follow-up services to insure proper ant control and extermination. Call a professional at Omaha Pest Control at (402) 250-0425 and leave the control issue with us. Ants are social insects. They live in colonies, usually underground and are very successful because of their ability to work together towards the common goal of caring for the queen. Ant colonies are comprised of at least one queen and her workers. The workers take care of foraging for food to feed the young and the protection of the queen. They are a very dedicated crew and will work 24/7 to maintain their existence, therefore the need for our trained and certified exterminators to gain an upper-hand and get preventative control. Most ants prefer to establish their colonies outside, but will forage and nest indoors depending on the species and the availability of food, water and harborage. Whether nesting indoors or outdoors, the ants you see moving about in your home are foragers looking for food. Call us at Omaha Pest Control for a free inspection and estimate to exterminate and control these unwanted pests. Carpenter ants are ants that use their strong mandibles to hollow out galleries in wood for nesting purposes. One of the signs of a carpenter ant infestation is the piles of saw dust found near their nests, commonly referred to as frass. They are usually black, red, brown, or combinations of red and black. The workers in a carpenter ant colony vary in size from 1/8 to ½ inch in length and the queen can be as large as ¾ inches in length. Carpenter ants prefer to establish nests in moist decaying wood and then move to more sound wood. In most cases a nest located within your home is a satellite colony which has been started by a larger colony located outdoors. The ants you see indoors are looking for food and actually are living your walls. Why Do I Have Them? Certain parts of a house, such as around windows and under windows, roof eaves, decks and porches, are most likely to be infested by carpenter ants because these areas are most vulnerable to moisture caused be old decay, weather and condensation; making tunnels to live in easier to create and live in. Ants can make a nuisance of themselves because they can live both indoors and outdoors and finding that entry point can be difficult to pinpoint. Finding and identifying that problem is the first step in elimination and control. Depending on the type of insect and location of nests different types of elimination methods may be used. Mechanical alterations, pesticides, liquids, baits, dusts and pheromone attractants may be necessary. Omaha Pest Control uses registered EPA pesticides, and uses the least material possible to resolve the problem. Licensed, bonded, and insured pest control technicians will inform you of any safety measures that need to be taken.